The Nova Scotia Nominee Program (NSNP) Entrepreneur Stream is designed to attract individuals who wish to start or acquire a business and settle permanently in Nova Scotia. This Nova Scotia Nominee Program (NSNP) stream is for experienced business owners and senior business managers intending to live in Nova Scotia and participate in the day-to-day management of the business. The NSNP Entrepreneur Stream is a temporary to permanent residence program whereby approved applicants are required to operate a business in the province of Nova Scotia on a valid work permit for a minimum of one continuous year prior to being nominated for permanent residence in Canada. It functions on an Expression of Interest (EOI) system. Sufficient language abilities are considered to be Canadian Language Benchmark (CLB) 5 in all four components (listening, speaking, writing and reading). Language tests must be taken within two years prior to the date of EOI submission. Agree to reside in Nova Scotia. Providing products or services to an under-served local or regional market. Meet the prevailing wage rates in the province. Applicants must offer employment on similar terms and conditions to existing staff, including maintaining existing wages and employment terms. When candidates submit their Expression of Interest in Step 1, a points matrix will be used to select the strongest applicants who best align with Nova Scotia’s business and economic priorities based on eight factors: language abilities, education, business ownership or management experience, level of investment in the business, net worth, age, adaptability, and Nova Scotia priorities. The candidate finished at least two academic years of full-time study (in a program at least two years long) at a secondary or post-secondary school in Nova Scotia. Full-time study means at least 15 hours of instruction per week, and must have remained in good academic standing (as defined by the school) during the period of full-time study in Nova Scotia. The candidate's spouse or common-law partner finished at least two academic years of full-time study (in a program at least two years long) at a secondary or post-secondary school in Nova Scotia. Was completed on a valid work permit or while the candidate was authorized to work in Canada. The candidate's spouse/partner has at least one year of full-time work experience in Nova Scotia on a valid work permit or while authorized to work in Canada. Prospective immigrants will indicate their interest in operating a business and residing in Nova Scotia by completing an Expression of Interest (EOI) in the form of a short online survey. On this survey, candidates will provide required information about their business ownership or management experience, language, education, investment, net worth, age, adaptability, and business. Only applicants who meet the minimum criteria will be able to submit an EOI. Candidates will be assessed based on a points matrix according to their profile and then assigned a score and added to the EOI pool. EOIs can remain in the pool for up to one year from the date of receipt. If the EOI is not selected during this time, it will be removed from the pool. After this point candidates may submit a new EOI if they so choose. If candidates are able to acquire additional points after submitting their EOI, they will need to submit a new one. 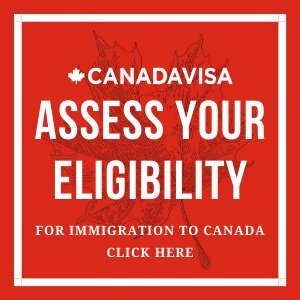 Top scoring applicants will be notified by the Nova Scotia Office of Immigration (NSOI) that they are being invited to submit a formal application to the Nova Scotia Nominee Program (NSNP) in the form of an Invitation to Apply (ITA) letter. Complete applications received from those invited to apply will then undergo an assessment by the NSOI. A Net Worth Verification Report prepared by one of NSOI’s designated Net Worth Verifiers (submitted within 180 days of the issuance of the ITA letter). NOTE: the candidate must notify the NSOI of his or her choice of Net Worth Verifier within 20 days of the issuance of the ITA letter. Once the application has been assessed by the NSOI, those candidates who meet the outlined eligibility requirements (see below) will be contacted about an in-person interview with an official of the NSOI. All interviews will take place in Nova Scotia and are expected to take place within 60 days of the candidate being contacted. If the interview is successful, the candidate will be sent a Business Performance Agreement to review and sign. A business Performance Agreement is a legal agreement with the province that states the amount of investment the candidate will make and the business sector in which the business will operate, along with any other relevant information. Unsuccessful interviews or failure to participate in the interview within the 60 day time limit will result in closure of the application. The NSOI will issue an Entrepreneur Approval Letter and instructions on how to apply to Immigration, Refugees and Citizenship Canada (IRCC) for a work permit upon receipt of the Business Performance Agreement. Candidates are required to apply to IRCC for a work permit within two months of the date on the Entrepreneur Approval Letter. If IRCC refuses the work permit application, the candidate will no longer be eligible under the NSNP Entrepreneur Stream. Applicants who are successful in obtaining a work permit will be able to land in Nova Scotia with their family, settle, and start or acquire their business. Applicants are expected to do so within one year of receiving the Entrepreneur Approval Letter or their file will be closed. 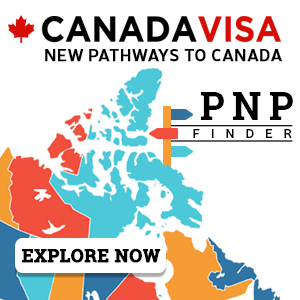 It is recommended that applicants start operating their business in Nova Scotia within six months of arriving in the province on a work permit. Approved applicants must attend an arrival meeting with an NSOI officer within 60 days of their arrival date. Officers will answer any questions related to the terms of the Business Performance Agreement and may refer candidates to other relevant service providers for further guidance and information. Candidates are required to bring a signed Arrival Report to the meeting. Once an applicant satisfies the conditions of the Business Performance Agreement, including, but not limited to, making the mandatory investment, operating the business continuously for a minimum of one year, and submitting a Business Establishment Progress Report to the NSOI, he or she can then apply to be nominated for permanent residence by the province of Nova Scotia under the NSNP by submitting a Nomination Request Form. The Nomination Request Form will ask for details of the business and will require the submission of an audit opinion and Special Purpose Report, both of which must be provided by an NSOI designated Audit Services Verifier of the candidate's choosing. Proof of Nomination, which expires six months after the date of issuance, will be sent directly to IRCC by the NSOI. In the event that the application is being considered for refusal, the applicant or their representative will receive a letter of intent to refuse from the NSOI. In this case, the applicant will be given 10 business days to submit additional information to be considered. After 10 business days the file, including any new information submitted, will be re-assessed and a final decision made, which will be sent in writing and which cannot be appealed. Upon nomination, the applicant will apply to IRCC for permanent residence within six months. Candidates should note that an NSNP nomination does not guarantee the issuance of a Permanent Resident Visa. If the application is approved by the visa office, the candidate will be issued a Confirmation of Permanent Residence. He or she is required to provide a copy of the confirmation to the NSOI within 30 business days. The Business Establishment Plan must be a coherent and well-thought-out plan for successful settlement and business development in Nova Scotia. The plan should demonstrate that the business meets the minimum required investment level and that the applicant will hold an active managerial position in the business. Additionally, it should show that the candidate has conducted extensive research into the economic, market, and cultural factors relevant to the proposed business. The Business Establishment Plan must include a detailed Action Plan that outlines, step by step, the planned actions of the business over the next two to three years. These actions include but are not limited to: financial actions required to start or buy the business, anticipated start date of the business, when staff will be hired, timing of planned export activities, etc. It is crucial that the applicant has complete knowledge and understanding of his or her Business Establishment Plan. In the event that the applicant is unaware of the plan’s contents, he or she may be deemed ineligible. Regardless of whether the candidate intends to purchase an existing business or establish a new one, the Business Establishment Plan must touch on all of the following topics: the business idea, sales and marketing plan, exploratory visit (only in the case of business succession), critical factors, risk factors, investment/financial information, business relationships, and human capital. Provide details on the geographic coverage (local, regional or national) of the business. Full details of research undertaken to support these plans. Details of the visit to the existing business location and any meetings with current owners. Overall anticipated challenges in addition to those identified above. The NSOI will consider the potential for any risk factors of the proposed business and the candidate's ability to address them. These include, but are not limited to, whether the candidate is proposing external financing, or if he or she is proposing to invest more than 50 percent of his or her personal net worth. Three years pro-forma financial statements including balance sheet, income statement and cash flow statement. Assumption notes for income statement and cash flow statement including a rationale for estimated revenue, expenses and profitability must be included. A summary of people contracted or consulted in preparation of the Business Establishment Plan. The candidate's entrepreneurial experience and its relevance to the proposed business idea. If the candidate has no relevant experience or background directly related to the proposed business, he or she should explain how his or her knowledge or experience can be applied to the business. Do not have status; they will not be eligible to apply until their status has been restored. Any other type of business that by association could bring the NSNP or the government of Nova Scotia into disrepute. The NSOI performs periodic draws, or rounds of invitations, for the Entrepreneur Stream. This table shows the history of these draws. The Saskatchewan Immigrant Nominee Program issued 324 invitations to apply for a provincial nomination to International Skilled Worker candidates in the first occupation-specific draw since the program's Expression of Interest system was introduced last year.